Install the base plate (200 x 200 mm) of this stainless steel anchorage point (Ø 16 mm) on a load-bearing steel structure and then counter it using 4 stainless steel bolts. This anchor has been awarded national technical approval by the German Institute for Construction Technology ("DIBt"). The bolts and counter nuts required are included in the package. 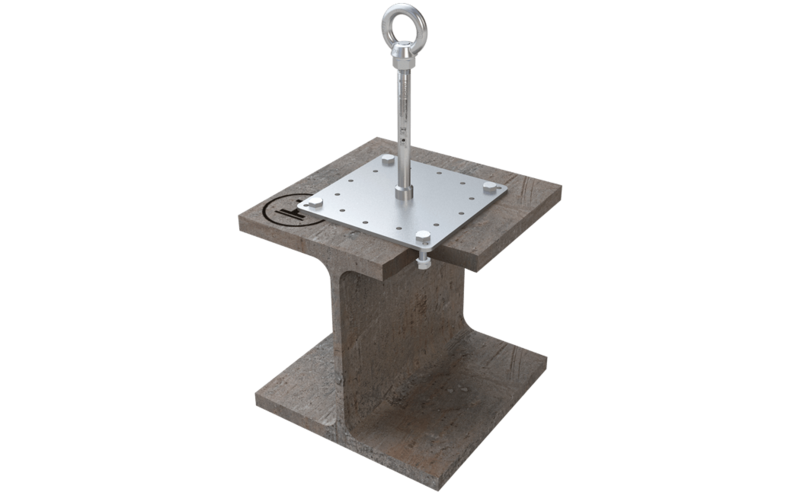 The ABS-Lock X-ST anchor base plate (200 x 200 mm) is attached to a steel girder using 4 stainless steel nuts and bolts and countered on the other side. 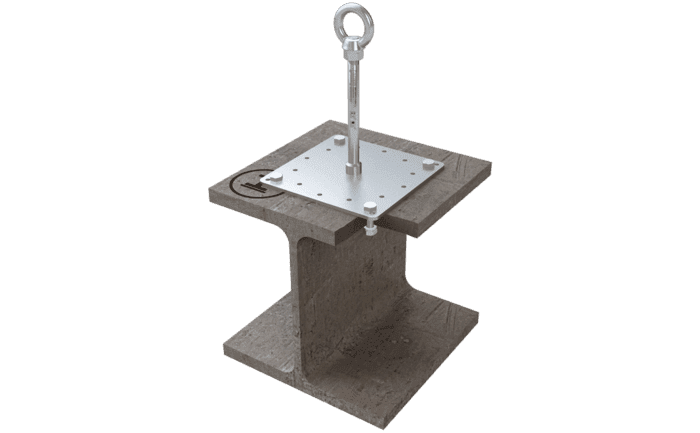 Thus installed, this stainless steel anchorage point (Ø 16 mm) serves as a fall arrest or retention system capable of protecting up to 3 of your workers in areas with high fall potential. The central component of this anchorage device is its stainless steel rod which has been specially designed to buckle under stress. Made from a special steel material, the rod buckles when a person attached to it falls - converting the ensuing lever force into lifting force which can be easily absorbed by the underlying surface. This conversion of energy results in reduced stress. To use this single anchorage point correctly, your users also need a complete personal fall protection kit (PPE). Put your kit together yourself - or simply grab hold of one of our pre-configured PPE kits.